I love getting ready for Christmas, not so much the presents and gifts side of things, but the food, crafts, decorations and generally making everything pretty and festive. Part of that, for me, is making a lovely leafy wreath for our front door, but I have far too little time to mess around with the whole spagnum moss malarkey, too little money to buy ready-made and too much middle class snobbery taste to want anything plastic. 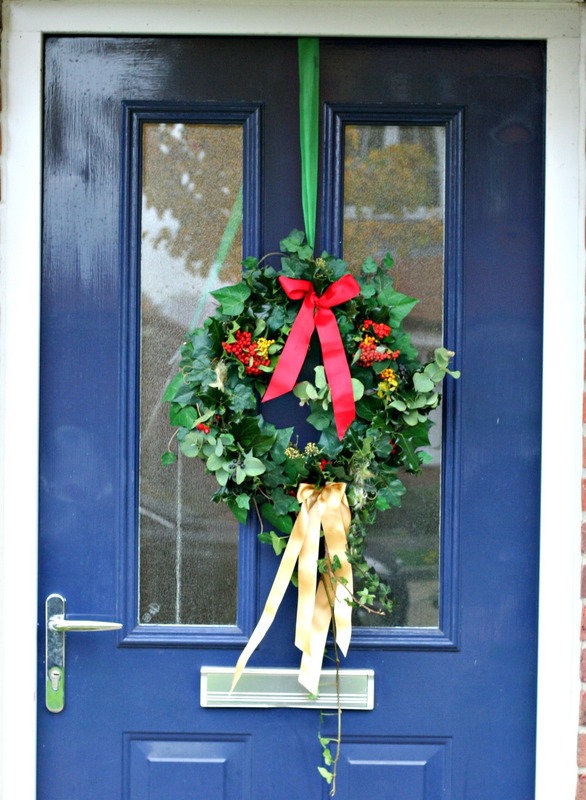 Years ago I bought this plastic ivy wreath from Ikea, I think it was intended as a table decoration, but I use it as a quick and dirty jumping off point for my front door wreath. Yesterday the smalls and I went for a foraging walk with a pair of secateurs and I stocked the buggy basket with anything that looked useful – Ivy strands, holly sprigs, clusters of rosehips, unidentified red and yellow berries (possibly Rowan? ), black ivy berries and elegant sprays of eucalyptus. I made sure to get lots of red, because I love how they pop against our dark blue door and I also grabbed some of these lovely fluffy clematis seedheads as a contrast to the spiky holly. Well I tucked the loose sprays and clusters through the plastic ivy, secured with a length of green gardeners wire where necessary, then tied on a couple of ribbons – I love the trailing gold tails mingling with the ivy sprays. Ta dah! 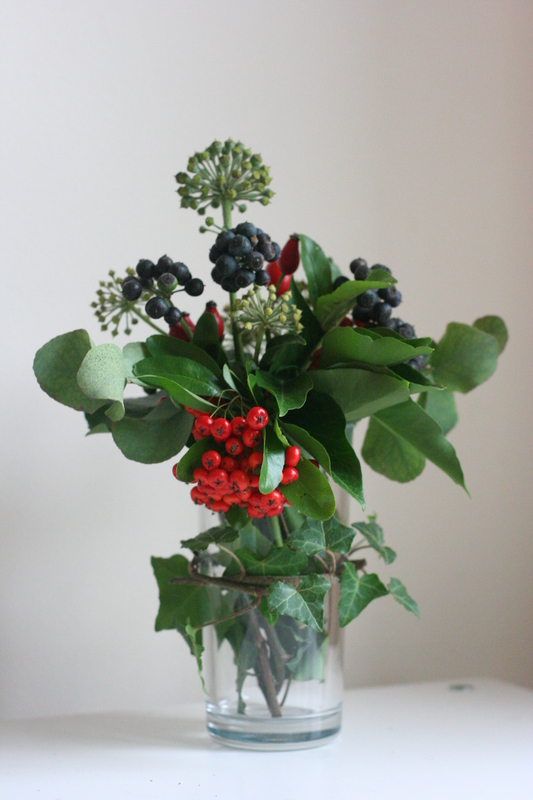 And with the leftover greenery I made this dinky little Christmas bouquet.